HEROES Haven Swanage is a purpose-built lodge which provides affordable holidays for disabled, injured and visually-impaired serving and ex-serving members of the Armed Forces, their immediate family and carers. The lodge has been designed to cater for wheelchairs and for those that have suffered serious injuries, allowing them to enjoy a normal family holiday. Situated on the beautiful Isle of Purbeck, the lodge nestles in its own extensive landscaped gardens which offer a tranquil setting for those looking for a peaceful and relaxing break. 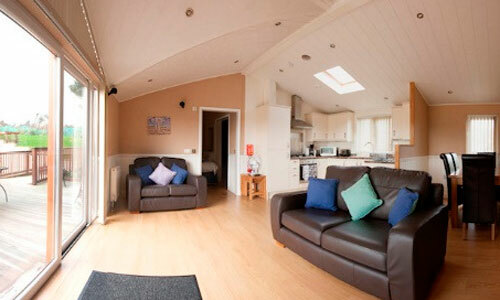 It accommodates up to six people with an open plan kitchen/dining/lounge area. Two separate double bedrooms lead through dressing areas in to en-suite wet rooms. Within the grounds of Herston Leisure Holiday Park are a seasonal on-site store, bar, restaurant and launderette foro guests staying in the lodge. The nearby seaside town of Swanage is a few minutes’ drive away; here you will find safe, sandy beaches, an interesting range of shops, cafés and restaurants and vibrant night life.